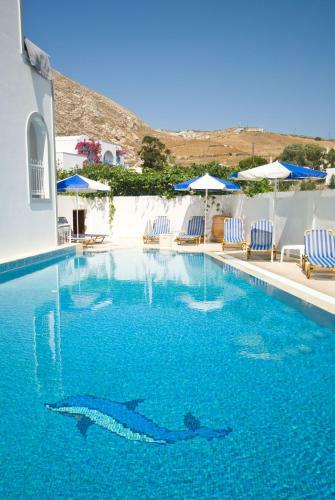 Only 150 metres from Kamari Beach, Hotel Glaros features a swimming pool with hot tub, a breakfast terrace, and a restaurant serving Santorinian home-cooked meals. All air-conditioned rooms enjoy free Wi-Fi. Located at the quietest spot in Kamari, this boutique hotel features stylish en suite rooms with 21�� flat screen TVs, and i-Pod speakers.